Ephesians 4:26-27: Now I’m Mad! The Holy Bible: English Standard Version. (Wheaton, IL: Standard Bible Society, 2016), Logos Bible Software. All references will be ESV unless noted otherwise. Bryan Chapell. Reformed Expository Commentary: Ephesians. Series Eds. Richard D. Phillips and Philip Graham Ryken. Testament Eds. Iain M. Duguid and Daniel M. Doriani. (Philipsburg, NJ: Presbyterian and Reformed Publishing, 2009), 224. Posted on September 14, 2018 by Seth Dunn and filed under Devotions and tagged Proclamation Presbyterian Church Epistle Logos Bible Software sanctification exclusive salvation in Christ Reformed PCA. R. Kent Hughes and Bryan Chapell. Preaching the Word: 1 & 2 Timothy and Titus: To Guard the Deposit. General Editor R. Kent Hughes. (Wheaton, IL: Crossway, a division of Good News Publishers, 2000), 218 and 216. Hughes, 1 & 2 Timothy and Titus, 218. Hughes, 1 & 2 Timothy and Titus, 218-219. The Heidelberg Catechism – Christian Reformed Church. Bing Search Engine. Accessed June 15, 2018. https://www.crcna.org/sites/default/files/HeidelbergCatechism.pdf. 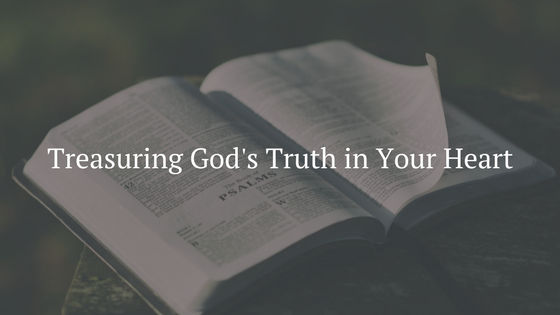 Posted on August 31, 2018 by Seth Dunn and filed under Devotions and tagged Proclamation Presbyterian Church Logos Bible Software Epistle exclusive salvation in Christ reformed treasuring God's truth Scripture sanctification. These realistic and comforting words are also humbling. 1 Corinthians 10:12 reminds us to not trust ourselves, but honestly see our need for the whole Trinity. If we cannot trust ourselves,  and God is our only hope to escape sin, then all of us must submit to Him for rescue. If you are not a Christian, then the power you need to stop disobeying God’s law is not in you. When you acknowledge your sin and trust in Jesus’ righteousness as your exclusive means of salvation, you will be delivered from destruction  and have the power needed to live righteously. If you are a Christian, God helps you in weakness. Cry out to Him when you are tempted, and He will do as 1 Corinthians 10:13 promises. The Holy Bible: English Standard Version. Wheaton: Standard Bible Society, 2016). Logos Bible Software. All Scripture references will be ESV unless noted otherwise. John Calvin. Commentary on the Epistles of Paul the Apostle to the Corinthians, Vol. 1. Trans. John Pringle. (Grand Rapids, MI: Baker Book House, 1981), 331. Please see previous blog for more details: http://proclamationpca.com/blog/. Jeremiah 17:9; Psalm 14:1-3, 53:1-3; Romans 3:9-24. Posted on August 29, 2018 by Seth Dunn and filed under Devotions and tagged Epistle exclusive salvation in Christ reformed Proclamation Presbyterian Church Logos Bible Software. For details, please see blogs “Tested Not Tempted” and “Desire’s Deadliness” at http://proclamationpca.com/blog/. John Calvin. Commentary on the Epistles of Paul the Apostle to the Corinthians, Vol. 1. Trans. John Pringle. (Grand Rapids, MI: Baker Book House, 1981), 330. See 2 Timothy 3:16; 2 Peter 3:3, 3:15-16. See also James Montgomery Boice. Foundations of the Christians Faith: A comprehensive & Readable Theology, Revised in Volume One. (Downers Grove, IL: InterVarsity Press, 1981), 47. Philippians 1:6. See also The Westminster Standards: The Westminster Confession of Faith, the Larger Catechism, and the Shorter Catechism. (Philadelphia, PA: Great Commission Publications, 2011), Confession of Faith chapters 25-27. John 14:6; Acts 4:12; Romans 3:28; Galatians 2:16. Posted on August 22, 2018 by Seth Dunn and filed under Devotions and tagged Proclamation Presbyterian Church exclusive salvation in Christ reformed Logos Bible Software Reformed True joy. Total depravity puts us all in the same place. All of us have hated someone or longed for something that has hurt us or someone else. Total depravity would be distressing if the story ended there. Romans 6:23: “For the wages of sin is death, but the free gift of God is eternal life in Christ Jesus our Lord.” People find salvation in Christ alone when they confess their sins and trust in His life, death, and resurrection. Christians need to continue trusting in Jesus in repentance. If you do not believe, your sins are still leading you to destruction, but God’s grace still rescues if you will admit your need of Him. James 1:13-14. See also the blog on this passage: Seth Dunn “Tested Not Tempted.” www.proclamationpca.com. Posted 10 August 2018, http://proclamationpca.com/blog/. John Calvin. Commentaries on the Epistle of James. (Grand Rapids, MI: Baker Book House, 1981), 290. Matthew 5:21-30, 7:7-12; 1 Corinthians 6:12-20. Posted on August 14, 2018 by Seth Dunn and filed under Devotions and tagged Proclamation Presbyterian Church Reformed Logos Bible Software Epistle. Daniel M. Doriani. Reformed Expository Commentary: James Series Eds: Richard D. Philips and Philip Graham Ryken. Testament Eds: Iain M. Duguid and Daniel M. Doriani. (Philipsburg, NJ: Presbyterian and Reformed Publishing Co., 2007), 34. John Calvin. Commentary on a Harmony of the Evangelists, Mathew, Mark, and Luke, Vol. 1. Trans. William Pringle. (Grand Rapids, MI: Baker Book House, 1981), 212. Doriani, James, 35-36. See also Deuteronomy 5:6-21; Matthew5:27-30; Romans 3:10-24, 7:7; 2 Peter 2:14-18. Isaiah 53:5; Matthew 4:1-11; John 14:6; 1John 1:7, 3:5-8, etc. Posted on August 10, 2018 by Seth Dunn and filed under Devotions and tagged Proclamation Presbyterian Church PCA reformed Logos Bible Software Epistle. John Calvin. Commentary on the Epistle to the Colossians. Trans. William Pringle. (Grand Rapids, MI: Baker Book House Co., 1981), 147. Matthew 3:2-17; John 1:1-5, 3:16; Acts 26:18; Romans 3:9-24; Ephesians 1:6-7, 2:1-10; 1 John 2:1-14, 3:4-10. Mark 1:15; John 3:16, 14:6; Romans 6:20, 10:9-10; Ephesians 2:8-10; Philippians 3:4-11; 1 Thessalonians 2:12; 1 John 3. Matthew 5-7; John 15:10; 1 John 2:1-6. Acts 20:25, 20:28, 1 Thessalonians 2:12. Posted on July 24, 2018 by Seth Dunn and filed under Devotions and tagged Epistle Paul exclusive salvation in Christ John Calvin Proclamation Presbyterian Church Logos Bible Software PCA Reformed. The Holy Bible: English Standard Version. (Wheaton, IL: Standard Bible Society, 2016), Logos Bible Software. All Scripture references will be ESV unless stated otherwise. Colossians 1:3-4. See also the blog titled “God’s Work: Reason for Rejoicing” which is on these verses. Colossians 1:5-6. See also the blog titled “Faith, Love, Hope, and their Fruits” which is on these verses. F.F. Bruce. Commentary on the Epistle to the Colossians, The English Text with Introduction, Exposition, and Notes. (Grand Rapids, MI: Wm. B. Eerdmans Publishing Co., 1982), 182. Bruce, Colossians, 181-82. See also Colossians 1:7-8. 1 Corinthians 2:1-2; Philippians 2:9-11; Matthew 28:18-19; Acts 1:8. Proverbs 27:17; 1 Corinthians 15:33; Hebrews 10:25; 2 Corinthians 8:23, etc. Isaiah 40:8; 2 Timothy 3:16; 1 Peter 1:25. Proverbs 1:1-33; 1 Corinthians 2:6-16. Posted on July 6, 2018 by Seth Dunn and filed under Devotions and tagged Epistle example application Exclusive Salvation in Christ Reformed PCA Proclamation Presbyterian Church Logos Bible Software. Because faith, love, and hope founded on Christ lead to life and assurance amidst trials, the reverse is also true: non-Christians lack these God-given gifts necessary for handling trials. Everyone believes something, the question is if that something is worth believing in? If the Trinity’s radically transforming grace is worth rejoicing (v. 3-4), why settle for less? If you do believe, you have a call to continue in and proclaim your faith. Since the rest of the world lacks hope, you must not abandon yours, but try to bring others to it so that they may know the faith, love, and hope God has given you. Seth Dunn, “God’s Work: Reason For Rejoicing,” Proclamation Presbyterian Church (Mount Joy), accesses 6/29/18, http://proclamationpca.com/blog/2018/6/29/treasuring-gods-truth-in-your-heart-1. William Hendriksen. New Testament Commentary: Exposition of Colossians and Philemon. (Grand Rapids, MI: Baker Book House, 1987), 49. Hendriksen, Colossians and Philemon, 49. Timothy Keller. The Reason for God: Belief in an Age of Skepticism. (New York, NY: Dutton, published by Penguin Group (USA) Inc., 2008), 3-21. Hendriksen, Colossians and Philemon, 50-51. Posted on June 29, 2018 by Seth Dunn and filed under Devotions and tagged Epistle Exclusive Salvation in Christ Reformed PCA Proclamation Presbyterian Church application Fruit Mount Joy devotion. The Holy Bible: English Standard Version. Wheaton, IL: Standard Bible Society, 20016). All Scripture References from here forward will be ESV unless noted otherwise. Romans 3:9-23, 5:6-11, and Curtis Vaughan. The Expositor’s Bible Commentary with the New International Version of the Holy Bible, Vol. 11: Ephesians-Philemon. General Ed: Frank E. Gaebelein. Assoc. Ed. J. D. Douglas. Consulting New Testament Eds. : James Montgomery Boice and Merrill C. Tenney. Manuscript Ed: Richard P. Polcyn. (Grand Rapids, MI: Regency Reference Library, an imprint of Zondervan Publishing House, 1978), 174. See also Leon Morris. The Gospel According to Matthew. (Grand Rapids, MI: Wm. B. Eerdmans Publishing Co., 1992), 68 and Daniel B. Wallace. Greek Grammar Beyond the Basics: An Exegetical Syntax of the New Testament with Scripture, Subject, and Greek Word Indexes. (Grand Rapids, MI: Zondervan, 1996), 98. Louis Berkhof. Systematic Theology: With a Complete Textual Index. Fourth Revised and Enlarged Ed. (Grand Rapids, MI: Wm. B. Eerdmans Publishing Co., 1977), 465. Romans 8; Ephesians 2:8-10; 2 Corinthians 1:3-11, etc. Matthew 7:7-11; 2 Corinthians 9:10-15. Luke 15:10; 1 Corinthians 11:1; 1 Timothy 4:12; 1 Peter 2:21. Posted on June 29, 2018 by Seth Dunn and filed under Devotions and tagged Epistle True joy Treasuring God's Truth PCA Proclamation Presbyterian Church application Logos Bible Software Exclusive Salvation in Christ Reformed Mount Joy.